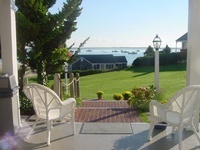 The Hawthorne, from its vantage point on Shore Road in Chatham, commands a striking view of Chatham Harbor, Pleasant Bay, and the Atlantic Ocean. Located within a five minute walk of Chatham center, our guests will find all the amenities that add that special touch to a Chatham visit - shops, live theatre, band concerts, historical museums, parks, arts and crafts, churches and restaurants. 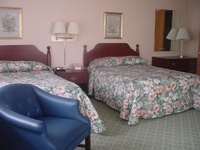 Every appetite is more than satisfied in Chatham, enhancing any Hawthorne vacation. At The Hawthorne, guests enjoy our private beach and peaceful surroundings either sitting on our beautifully landscaped grounds or resting comfortably in our exceptionally clean accommodations. For the sports minded, Chatham offers some of the finest windsurfing along the east coast, charter boat fishing, surfcasting, sailing, and bicycle trails. 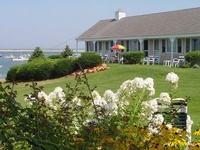 Adjacent to The Hawthorne are the Chatham Bars Inn tennis courts and the Town of Chatham's own nine-hole golf course. Guests may play at the town's public tennis courts or any number of eighteen-hole golf courses. 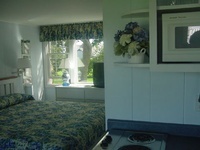 Come join our guests who return year after year to experience the ultimate Chatham, Cape Cod vacation. The Hawthorne, family owned for over 40 years is open mid-May to mid-October.